I read of the prison fire that killed 350 prisoners in Comayagua on the morning I flew out of Honduras last February. I wasn’t shocked; it fit into a pattern I had been seeing for the past three weeks of my tour of Central America. As a volunteer with World Neighbours Canada, I was pursuing my decades’ long interest in village development by visiting five long-term projects among the most marginalized people of Honduras and Guatemala. My Honduran colleague, Carlos Vigil, had observed a few days previously that Honduras now met the criteria for a failed state. All trust by the citizens in their institutions has gone. He rattled off the statistics since the military coup marched the democratically elected president onto a plane and into exile three years ago. Seventeen journalists, 46 lawyers and 34 peasant leaders have been murdered with hundreds in exile out of fear, Carlos told me. Last October, her brother and a friend, the son of a university administrator, were returning from a party in the capital, Tegucigalpa, when their vehicle was shot at by the police. They struck the administrator’s son who was driving. They then killed the witness, Elia’s brother. The bodies were dumped on the edge of town but a shopkeeper’s security video caught the police vehicle following the boys’ car. Four policemen were detained but were released and have now disappeared. A number of companies are closing their Honduran offices and moving to more stable Nicaragua. Carlos related the fate of friends who owned a thriving business. They began receiving photos of their home and children with a demand for a large sum of money. When they tried to negotiate they were told pay or be killed. They shuttered their business and moved to a remote district in Honduras. As they had no way of knowing whether these threats were coming from the police they didn’t report the extortion. A lawyer of Carlos’ acquaintance was murdered after she won a court case against the army. He told me of a recent scandal where a Supreme Court official used her position to shield her son from an alcohol test following a deadly car crash. He had other stories about those with no faith in the police or courts who added to the violence with their own private justice. The government is broke. It was February but the civil service had not been paid for January with some still not paid for December. Among these same coffee growers, I sat in meetings with a regional health committee and heard about downloading onto these poor villagers the expenses of their small nurse’s post. The parents of school children have been told to provide the chalk and erasers. It is called de-centralization. Later in the week in the far south of Honduras, the poor turnout at a meeting was due to a conflict. The school parents were gathering to demand that the school teacher show up to teach class. Meanwhile the usual collection of American fast-food giants (McDonalds et al) dominates the downtown of Tegucigalpa but pay no tax. To encourage tourism, I’m told. In the hot south I was shown the municipal priority of the mayor of Nacaome. It is a triumphal arch costing a million Lempiras welcoming visitors to a city desperately in need of basic infrastructure. When this mayor, who played a leading role in the government that followed the coup, was challenged on his sudden acquisition of wealth he retorted that if anyone had evidence of theft they should go to the police. Honduras has the highest murder rate in the world. The US ambassador suggests that it is the drug cartels that are at the root of the violence. My friends roll their eyes. Of course, the narcos and gangs are a major contributor but they flourish because corruption pervades all the state institutions that might address the problem. These conditions are not unusual for World Neighbours Canada. All three of our international projects are in unstable countries. Nepal remains in a longstanding constitutional crisis, Burkina Faso is currently being challenged by famine and the civil war in neighbouring Mali as Honduras slips closer to chaos. By working through long-term, trusted partners in each of these countries our projects carry on quietly without dependence on government. 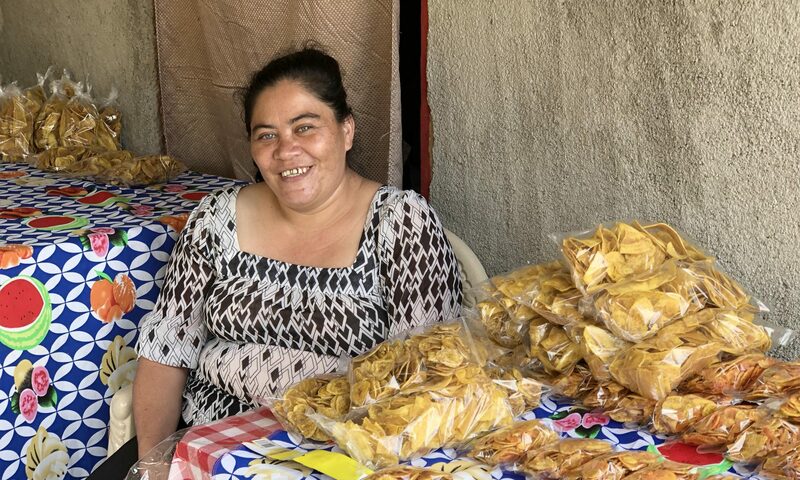 In the villages of our La Esperanza project workshops are attended, credit unions make small loans and families engage in the serious work of improving their lives by creating small accountable local institutions that directly address their needs. In a nation without trust they are creating tiny islands of stability with real local control. Next PostNext What is development looking like in Canada these days?